Adaptive management is an approach to managing natural resources that emphasizes learning from the implementation of policies and strategies. Adaptive management appears to offer a solution to the management gridlock caused by increasing complexity and uncertainty. The concept of adaptive management has been embraced by natural resource managers worldwide, but there are relatively few published examples of adaptive management in use. 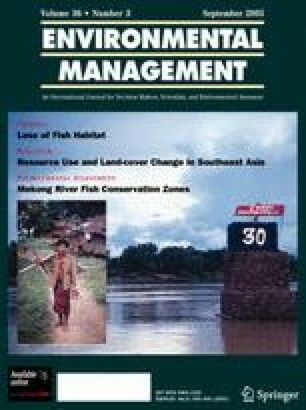 In this article, we explore two watershed management projects in southeastern Australia to better understand the potential of adaptive management in regional scale programs through qualitative, case study–based investigation. The program logic of one case implies the use of passive adaptive management, whereas the second case claims to be based on active adaptive management. Data were created using participant observation, semistructured interviews with individuals and groups, and document review. Using thematic content and metaphor analysis to explore the case data, we found that each case was successful as an implementation project. However, the use of both passive and active adaptive management was constrained by deeply entrenched social norms and institutional frameworks. We identified seven “imperatives” that guided the behavior of project stakeholders, and that have consequences for the use of adaptive management. Reference to recent evaluations of the Adaptive Management Areas of the Pacific Northwest of the United States suggests that some of these imperatives and their consequences have broad applicability. The implications of our findings are discussed, and suggestions for improving the outcomes of regional scale adaptive management are provided. The authors acknowledge support received from the Charles Sturt University Academic Staff Writing-Up Award Scheme. Thanks are also extended to Steve Light and two anonymous reviewers for their comments.